But the campaign has something of a shellshocked feel, as staffers privately chew over a blowup last week where internal frictions flared into the open. Clinton campaign operatives say it happened as top Clinton advisers gathered in Arlington, Va., campaign headquarters to preview a TV commercial. "Your ad doesn&apos;t work," strategist Mark Penn yelled at ad-maker Mandy Grunwald. "The execution is all wrong," he said, according to the operatives. "Oh, it&apos;s always the ad, never the message," Ms. Grunwald fired back, say the operatives. The clash got so heated that political director Guy Cecil left the room, saying, "I&apos;m out of here." 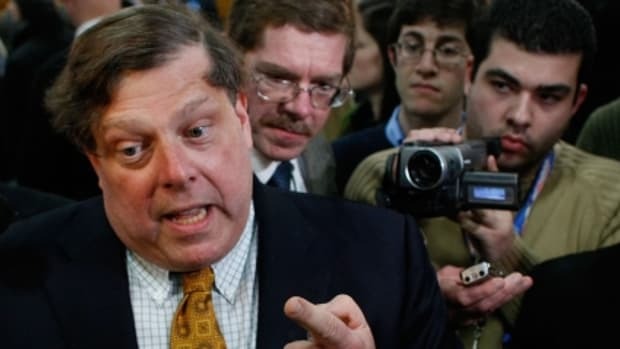 If Sen. Clinton ends up winning this thing - and its still possible she could, don&apos;t count her out - she&apos;s got to promise that Mark Penn&apos;s only involvement with the White House is coming over for tea. And not for a long tea.